Liberia’s ambassador to the United Kingdom of Great Britain and Northern Ireland says his preoccupation will be to encourage more British investment firms to take advantage of the conducive investment climate in Liberia. “Liberia needs more investors to ease the pressure of unemployment that has permeated the African continent. The Liberian government is pursuing a robust economic and development diplomacy and will endeavour to reach out to all friendly governments and peoples”, Ambassador Rodulf von Ballmoos said when he spoke at a reception at the Liberian Embassy in London following the presentation of his credentials to Queen Elizabeth II on June 3. He had earlier presented his credentials to the Queen at Buckingham Palace, the official domicile of the Royal family. Ambassador von Ballmoos expressed heartfelt thanks and appreciation to the British government through the Queen for the enormous support provided to Liberia over the years. 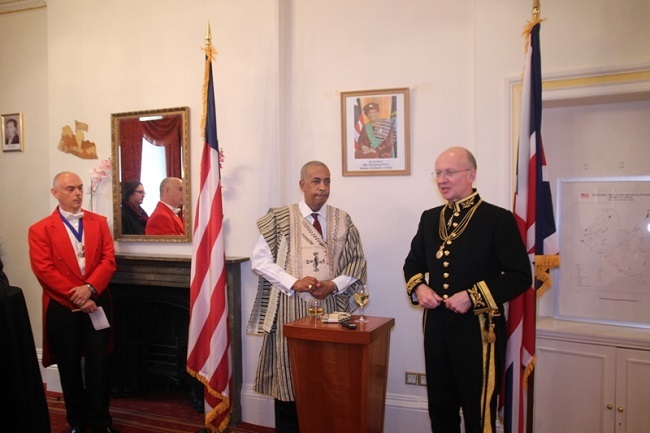 Also making remarks on behalf of the Queen, the Marshal of the Diplomatic Corps, Alistair Harrison extolled the long and cordial ties subsisting between Liberia and the United Kingdom. He said, “we admire Liberia at various levels and for the shared determination in the fight to eradicate poverty, improved the quality of education and provide accessible and affordable health care for all your citizens”. 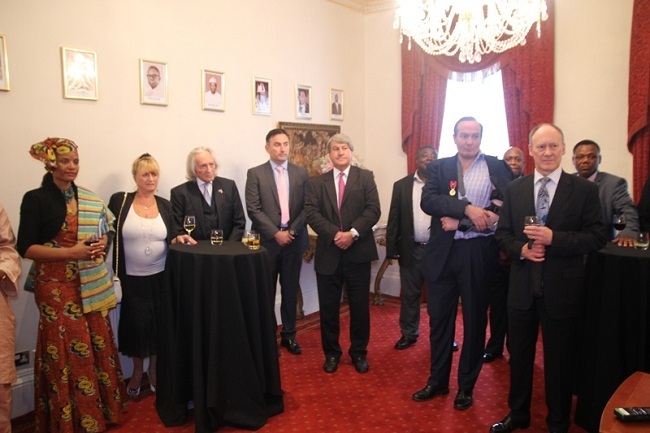 The reception was attended by members of the Diplomatic Corps in London, the business community and a number of Liberians residing in the United Kingdom.